Photo by | El Caganer – Over 5 Million views! 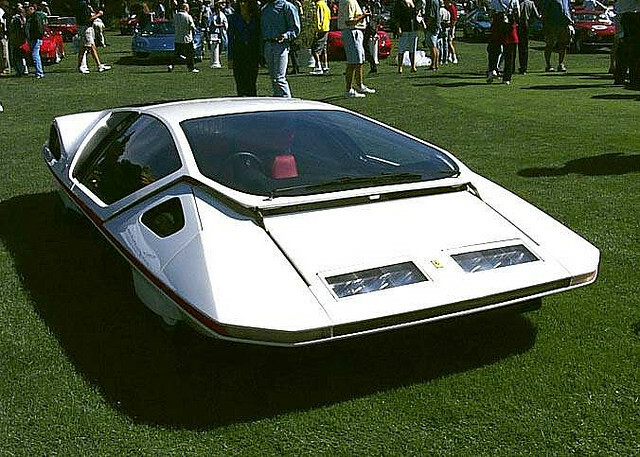 Perhaps one of the oddest Ferraris ever made was the 1970 Ferrari Pininfarina 512 S Modulo. The auto was conceived and produced for display at the 1970 Geneva Motor Show. Paolo Martin created a very unique and bizarre design for the auto’s body that he placed on the full chassis of the Ferrari 512S racing car. Pininfarina created the auto’s design on a sketch pad which allowed for the canopy of the vehicle to slide forward over the front of the vehicle. For his creativity, the design was awarded 22 international awards at the time; however, the car is not one that will be found on the auto lot as it was a one-time build for the Motor Show.